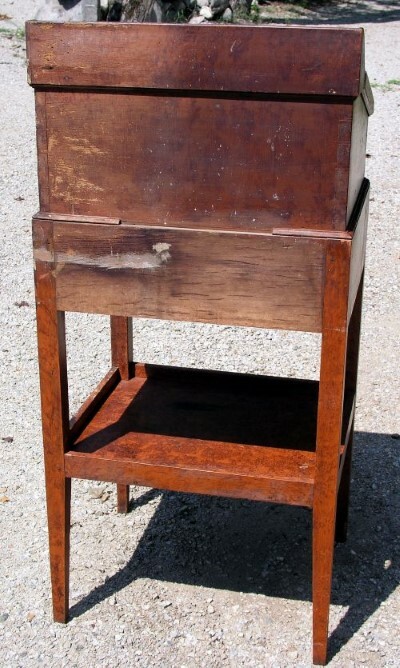 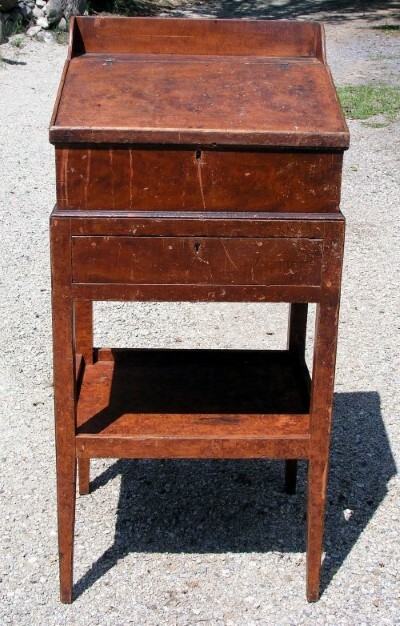 Small size two piece grain painted schoolmasters desk.Has nice interior with a drawer below. 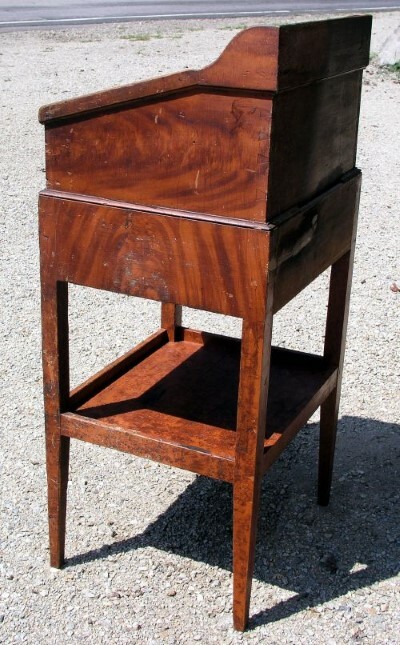 Dovetailed case and upper gallery. 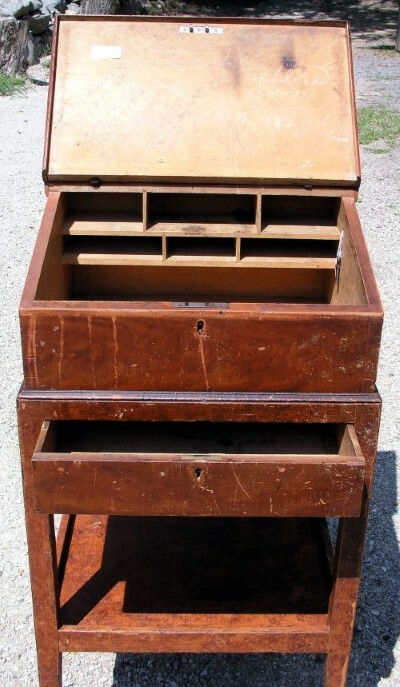 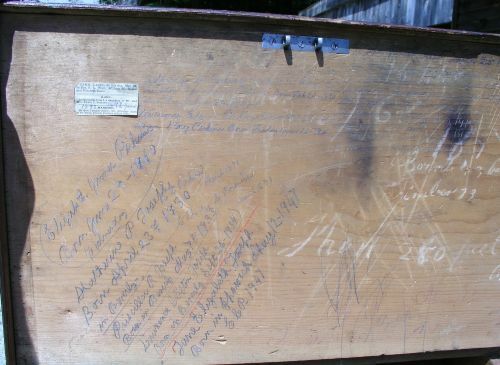 Lots of early family history on lift up lid and inside and below drawer. 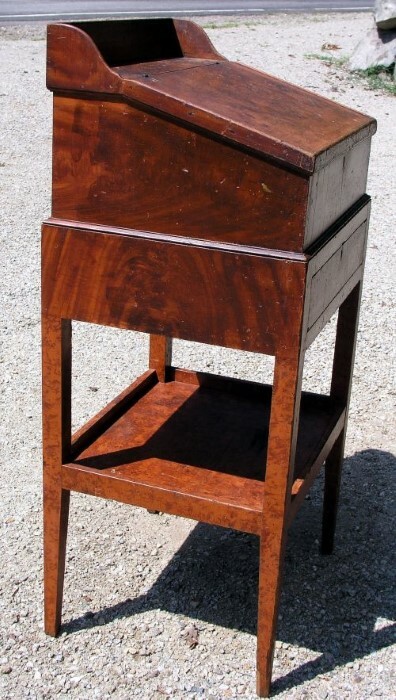 Dimensions: Measures 24" wide X 50" tall X 20" deep.